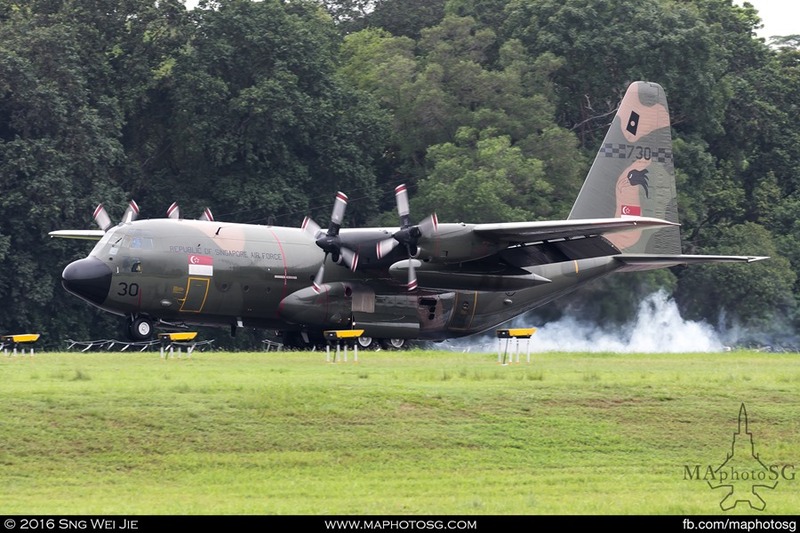 ASO would like to introduce Military Aviation Photography Singapore or MAphotoSG. 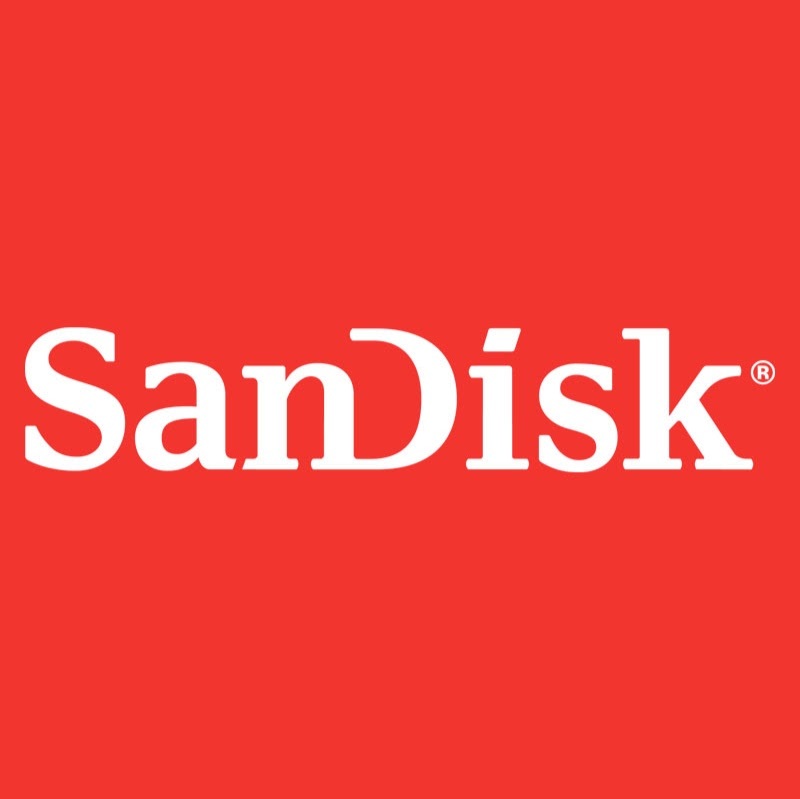 The Team was started by David Chua and Raymond Lee. 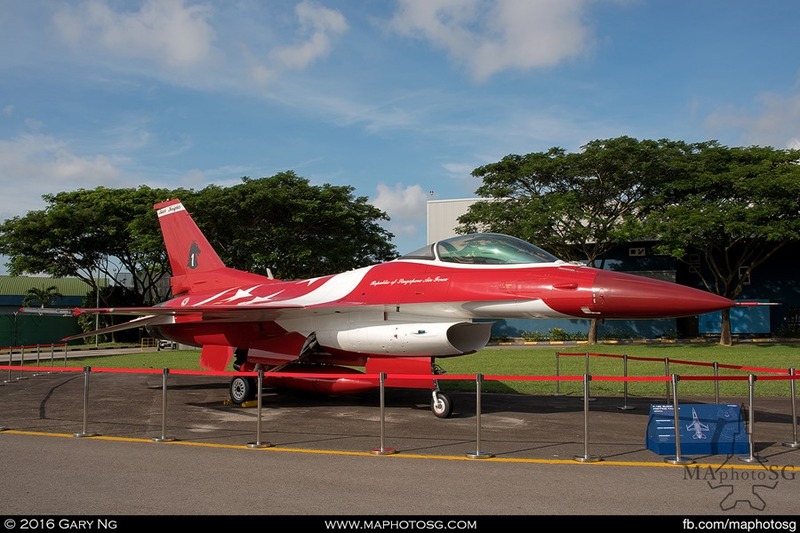 MAphotoSG is the only military aviation enthusiast site in Singapore. 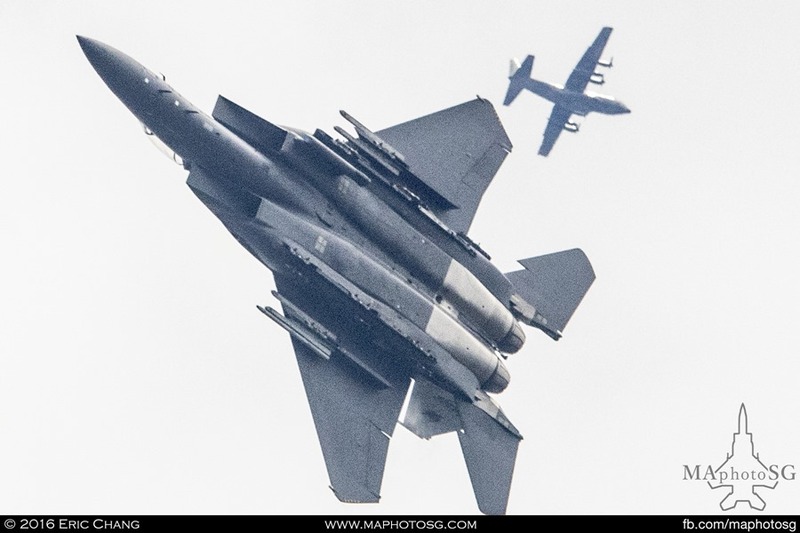 MAphotoSG primarily focuses on The Republic of Singapore Air Force (RSAF), but they do travel overseas for events such as NATO Tiger Meets, AIR14 in Switzerland, and more recently the Dutch Air Force Days (Luchtmachtdagen 2016) featuring F-35B! 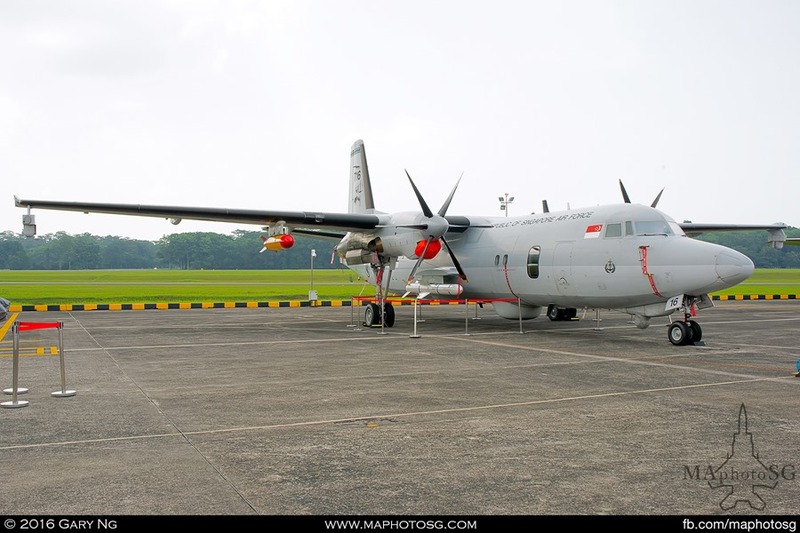 Next on the list will be LIMA 2017 and RAF Red Arrows when they visit Singapore! 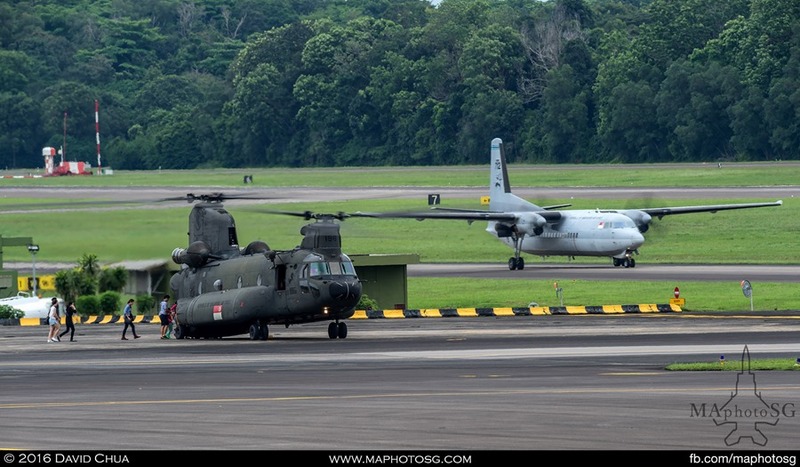 ASO and MAphotoSG will be working together to cover the partnership between our two countries air forces and we look forward to this partnership. 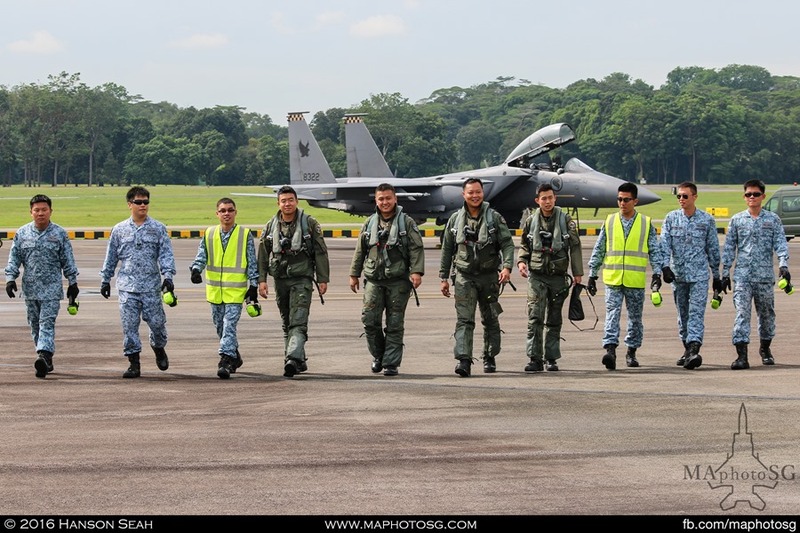 Please go and like the team’s Facebook page at https://www.facebook.com/maphotosg/?fref=ts to keep up to date with all the action around the Republic of Singapore Air Force and the work the team does. 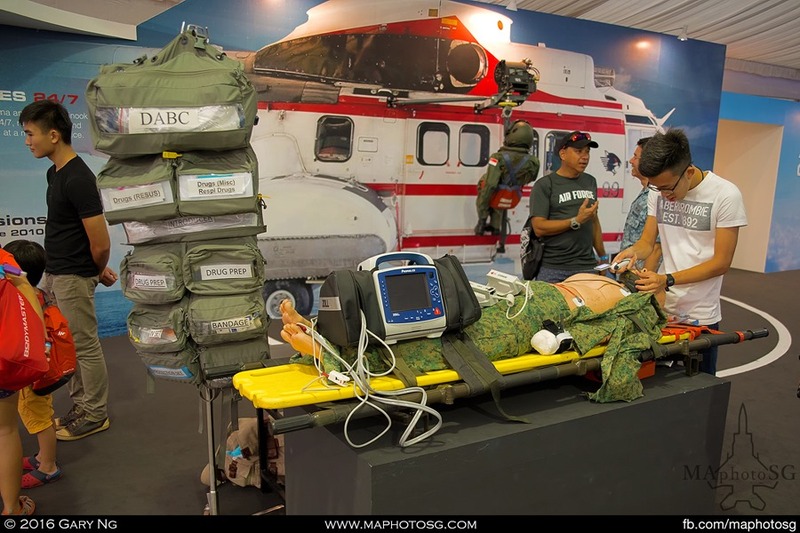 The MAphotoSG team covered the RSAF Open House 2016 back in May this year and here is the full article . 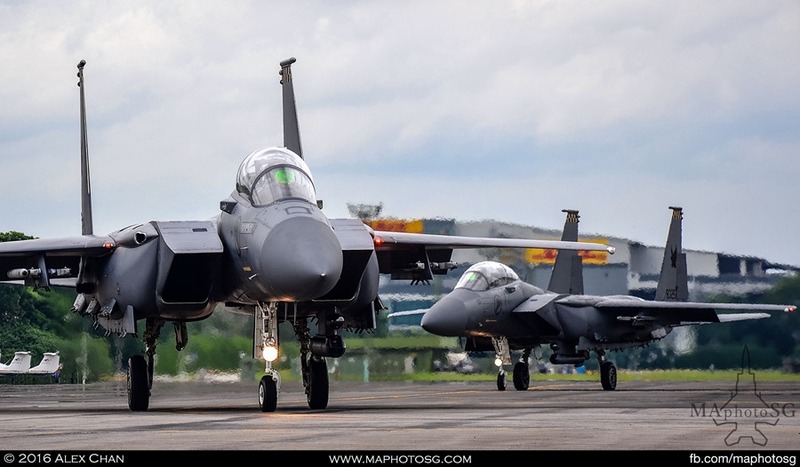 Over the weekend of 21-22 May, the Republic of Singapore Air Force (RSAF) Open House returned to Paya Lebar Airbase with a bang after a 5-year absence. 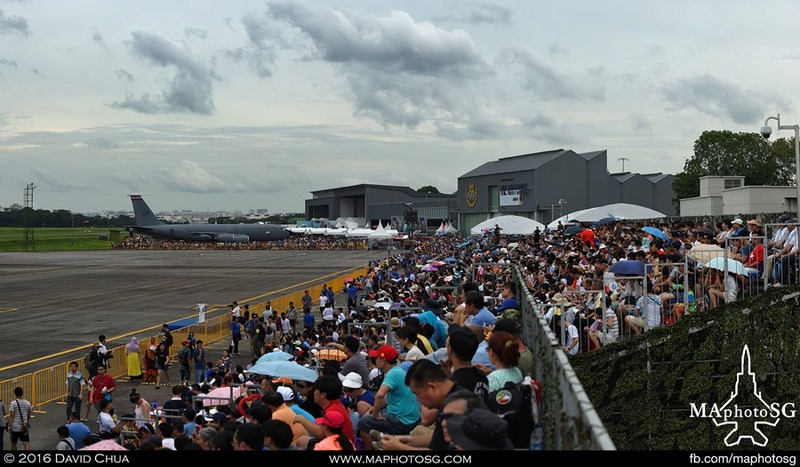 With more than 220,000 visitors over the weekend, it surpassed the organizing committee’s target of 120,000. 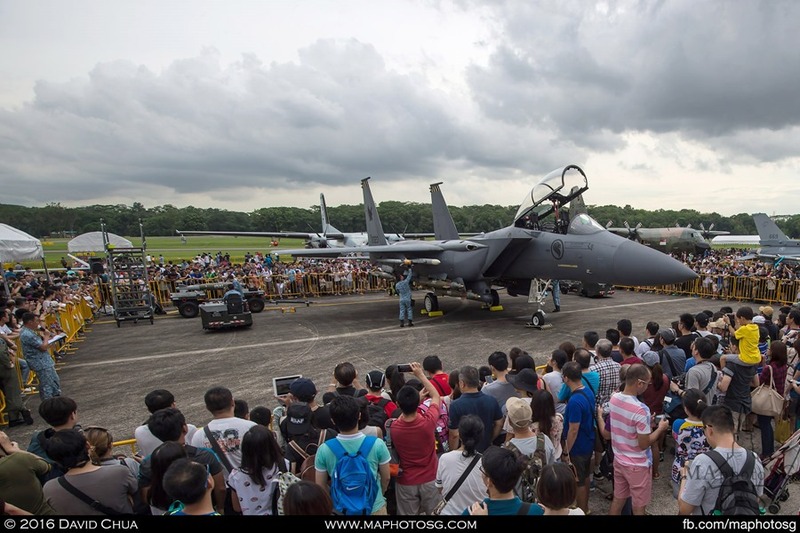 Covering an area of about nine football fields, the RSAF Open House 2016 had something for everyone and allowed all to better appreciate the RSAF’s role in Defending Our Skies. 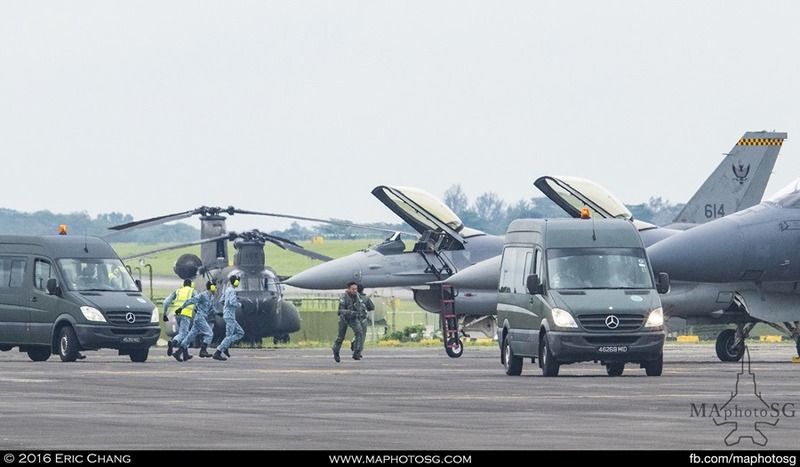 The Operational Capabilities Demonstration featured a high-octane 30-minute display of the RSAF’s key roles. 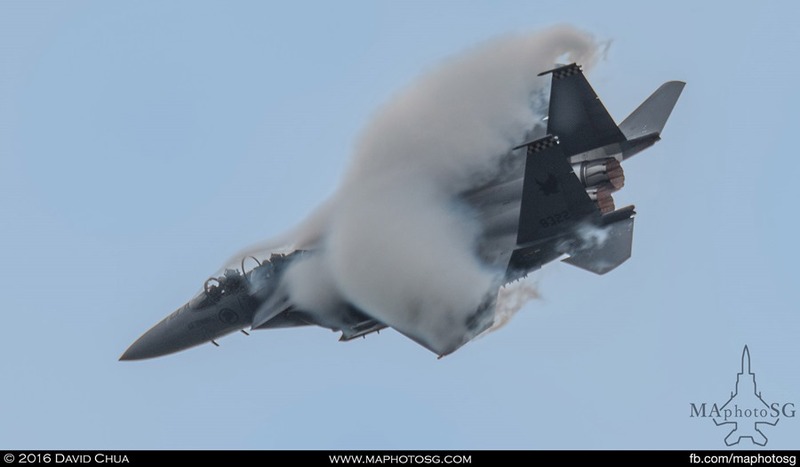 The first segment showcased the light aircraft interception role, with the scrambled launch of a pair each of Lockheed Martin F-16C Fighting Falcons and Boeing F-15SG Strike Eagles on Quick Reaction Alert. 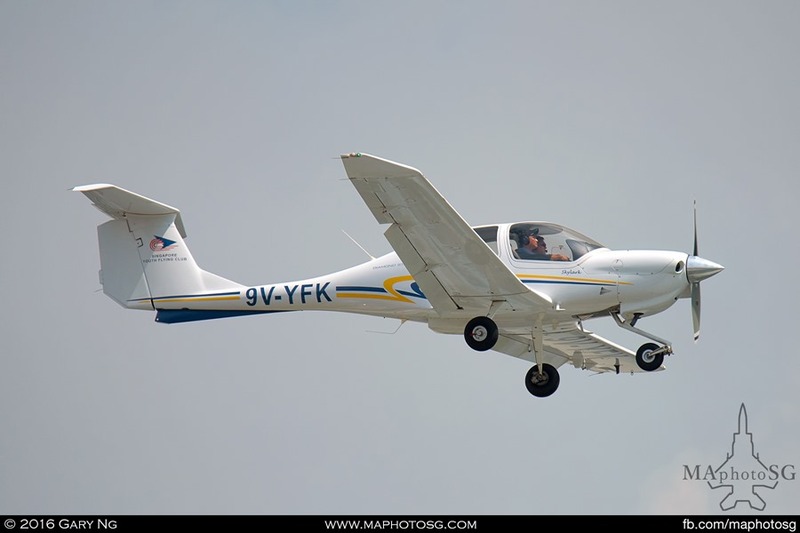 Intercepting a Diamond DA40 from the Singapore Youth Flying Club, the “threat” was forced to land at the airbase by the F-16Cs. 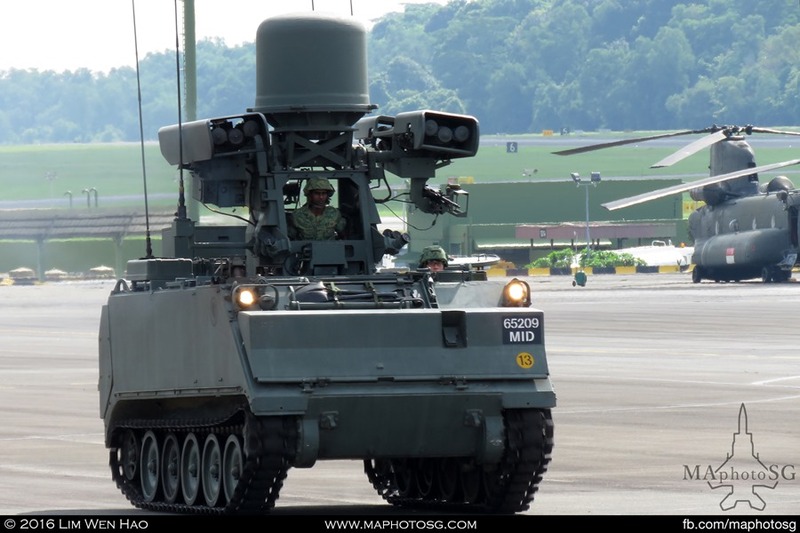 Supporting this intercept were the Ground-Based Air Defense assets of the Rafael SPYDER and M113A2 Mechanised Igla. 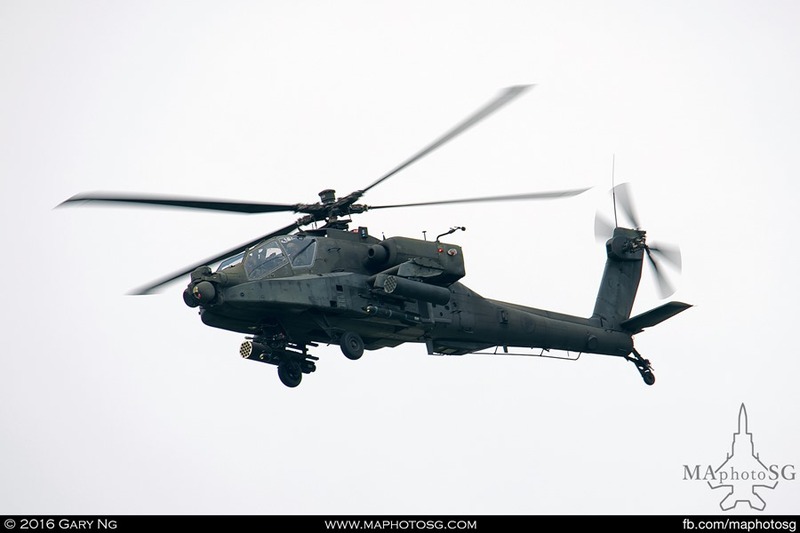 The second segment highlighted the role of the UAVs in intelligence gathering and supporting the Army units in a ground attack operation. 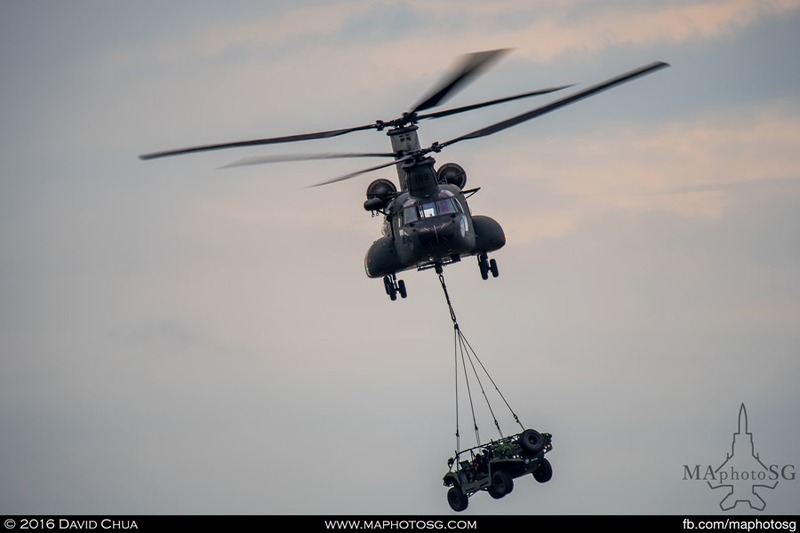 A pair of Boeing AH-64D Apaches performed a close air support operation while a Boeing CH-47D Chinook under slung a Mk II Light Strike Vehicle and unloaded Guardsmen for a troop insertion operation. 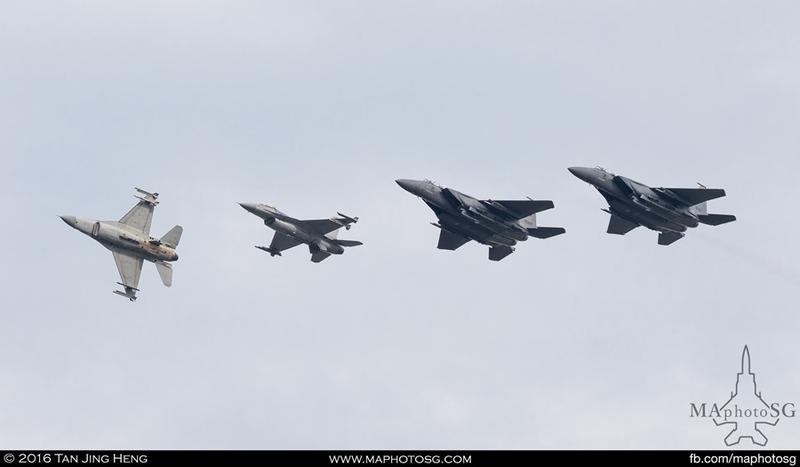 The F-16Cs and F-15SGs closed up the demonstration with an echelon formation flyby before breaking into the landing pattern. The landing demonstrated the skill and agility of the pilots in bringing these “iron birds” back to base to prepare for another mission. 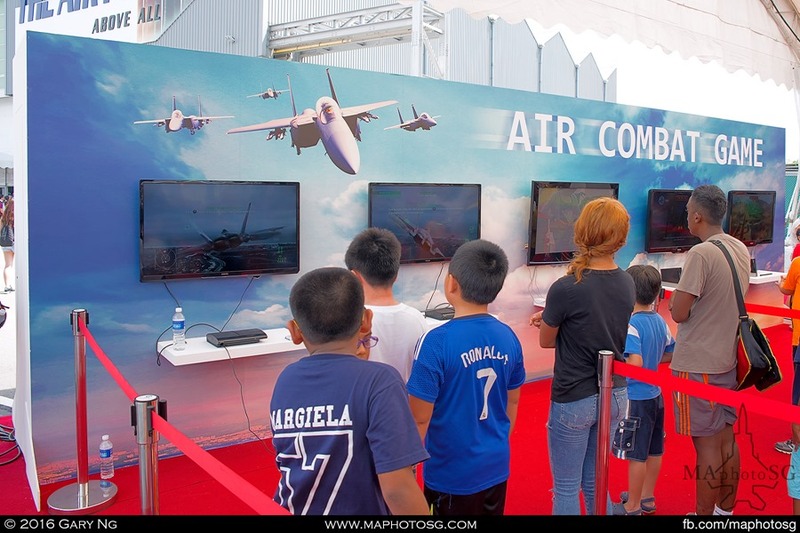 Covering 2 halls, the exhibition was divided into 3 zones and provided visitors with a detailed look into the history, commands and various roles of the RSAF personnel. 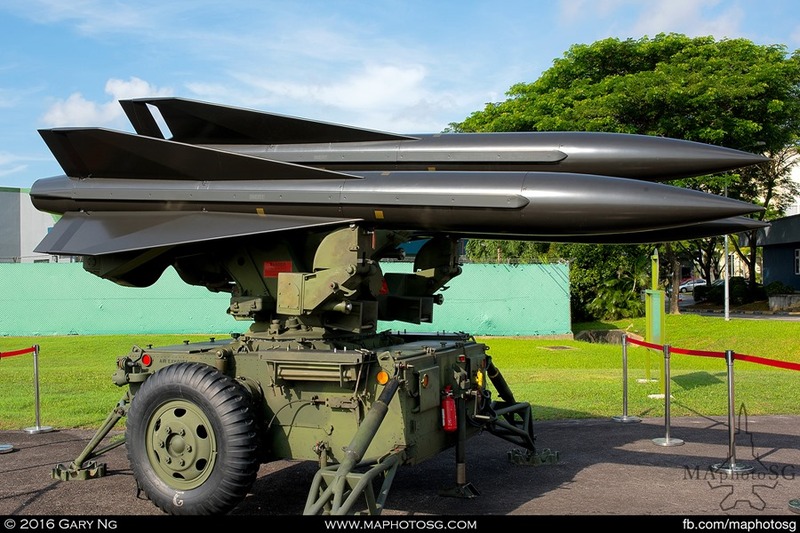 The History and Transformation zone brought visitors back to the formation of the SADC following the British withdrawal, and its subsequent change to the current RSAF in 1975. 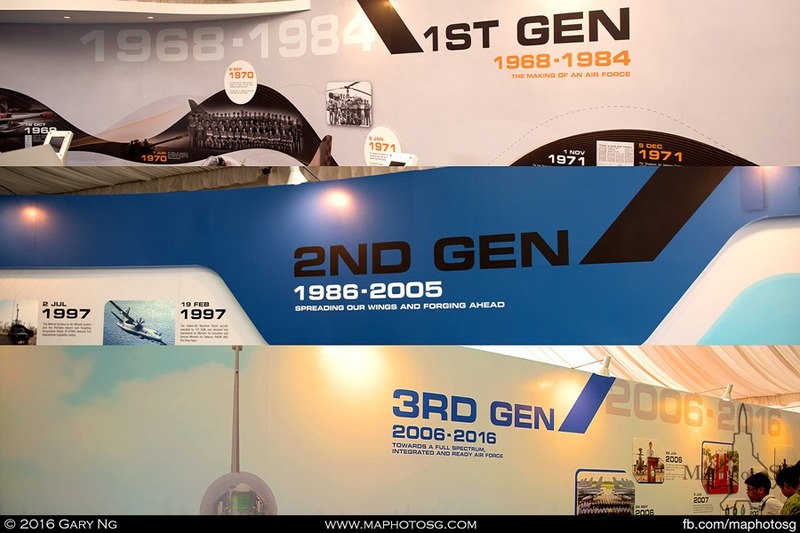 Covering 48 years, the information boards highlighted key moments in the RSAF’s transformation from a 1st Generation to a 3rd Generation air force. 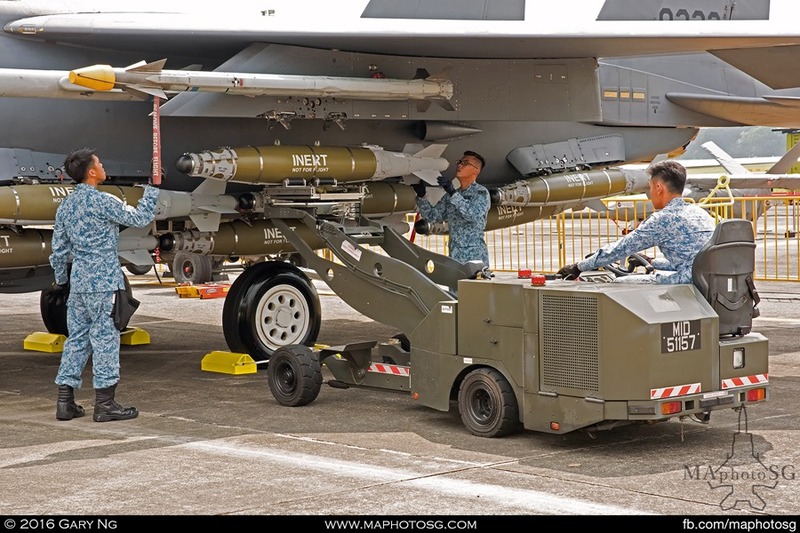 The Full Spectrum and Integrated Capabilities zone focused on the RSAF as a fully ready professional force which is integrated and capable of full spectrum operations. 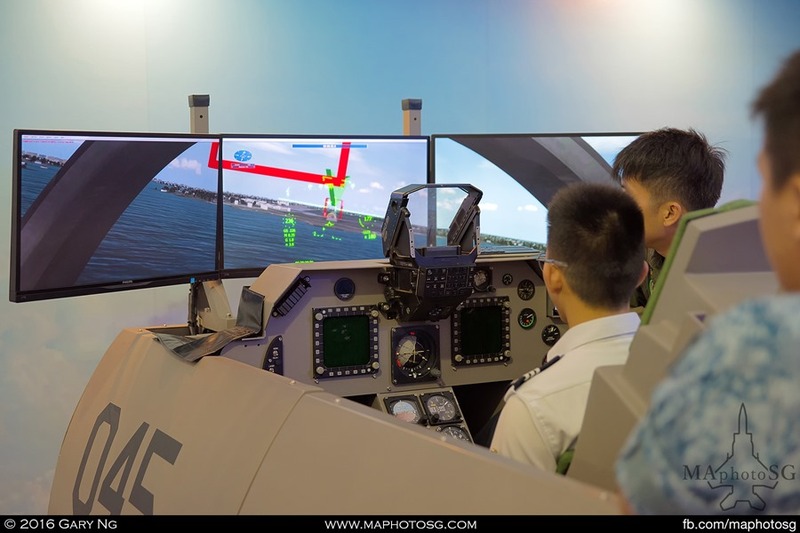 Visitors were able to experience aircraft and weapon system simulators and also understand about the RSAF’s key overseas operations and exercises. 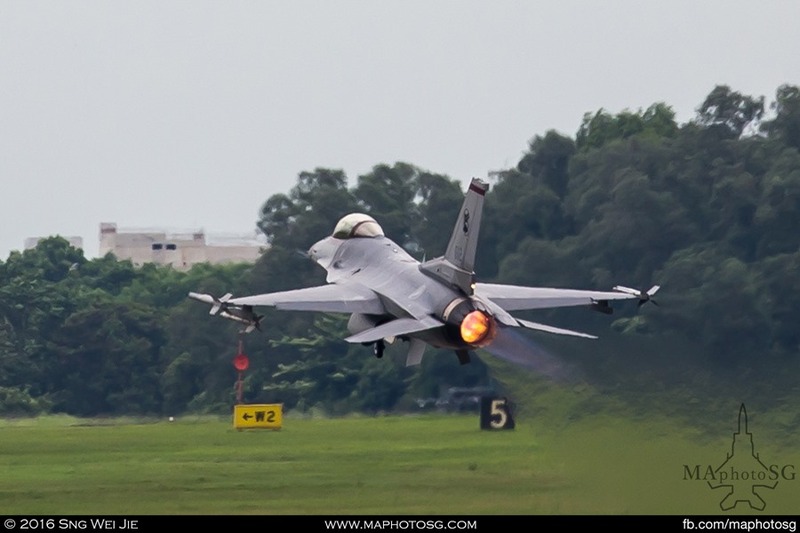 The last zone was focused on the People and Commitment of the RSAF and highlighted the accomplishments and commitment to the nation’s defence. 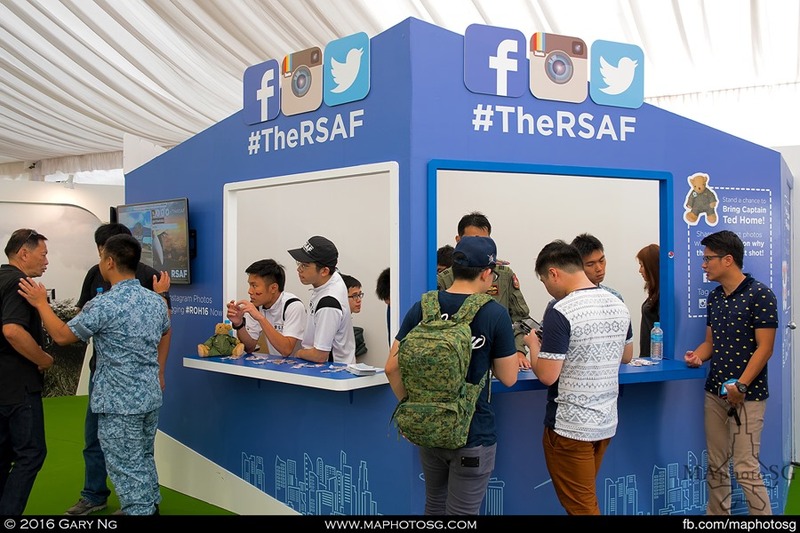 The RSAF also used community outreach programs and social media platforms as a means of connecting with the public. 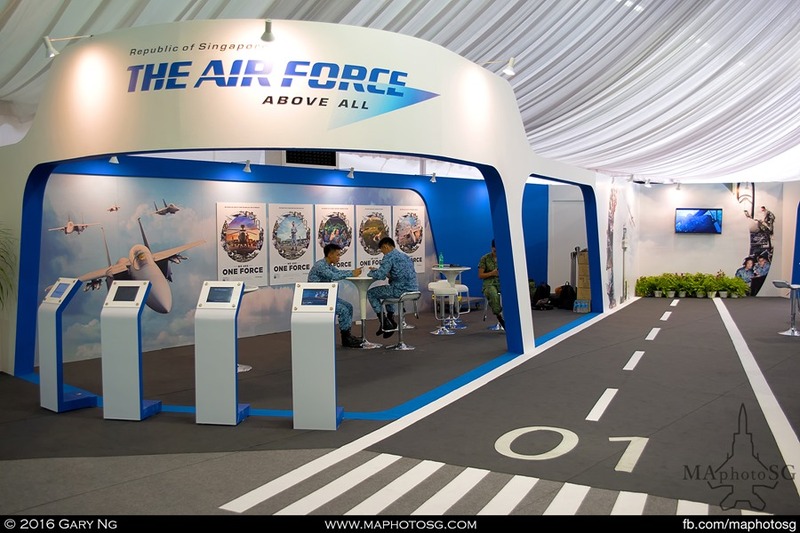 An appreciation corner was setup for visitors to pen down words of encouragement and support to RSAF personnel. 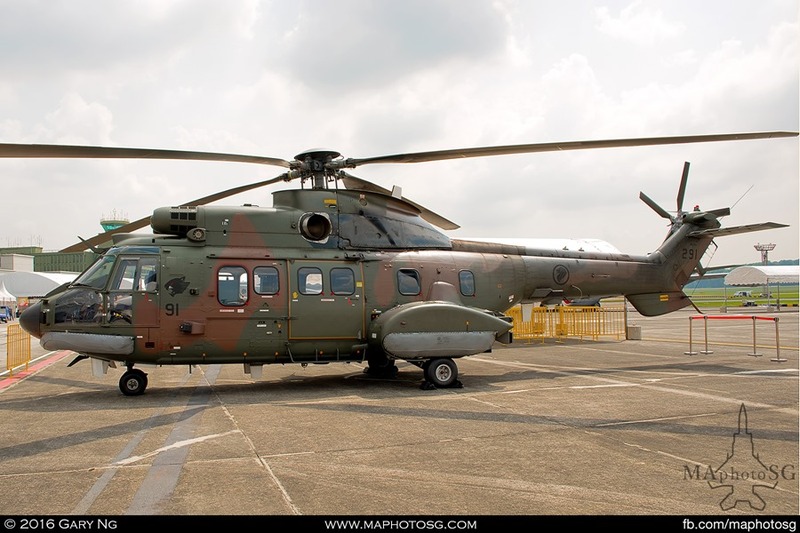 Visitors were able to get up close and personal in the static display area with 20 types of aircraft and weapon systems. 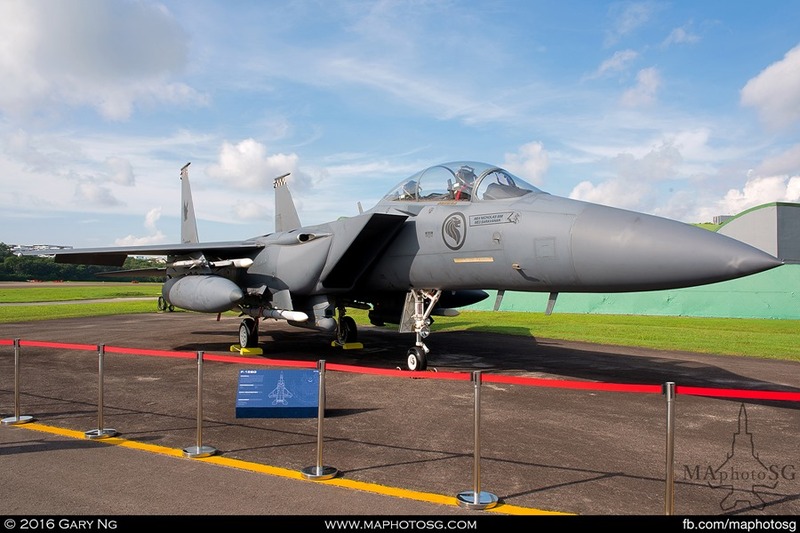 Aircraft on display included the Boeing F-15SG, a Black Knight F-16C, Gulfstream G550 AEW and the Sikorsky S-70B Seahawk. 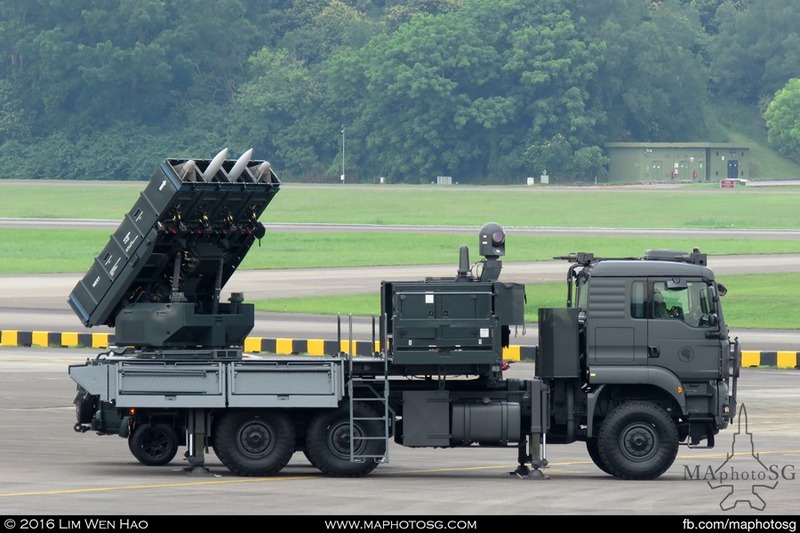 Other displayed platforms such as the Elbit Hermes 450, IAI Heron 1, MPSTAR and ALTaCC showcased the multi-role capabilities of the 3rd Generation RSAF. 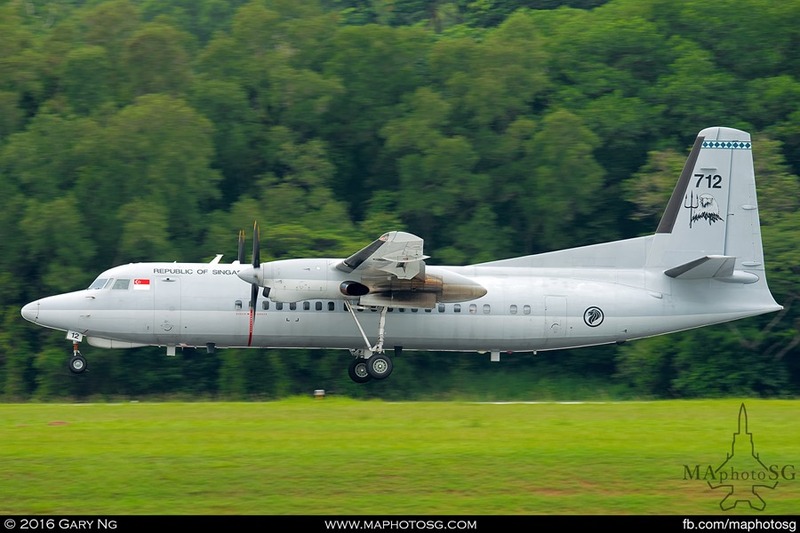 In addition to the main events, there were also joyrides for e-balloted winners on the Lockheed C-130H, Fokker 50 UTA, Boeing CH-47D or Diamond DA40 aircraft. 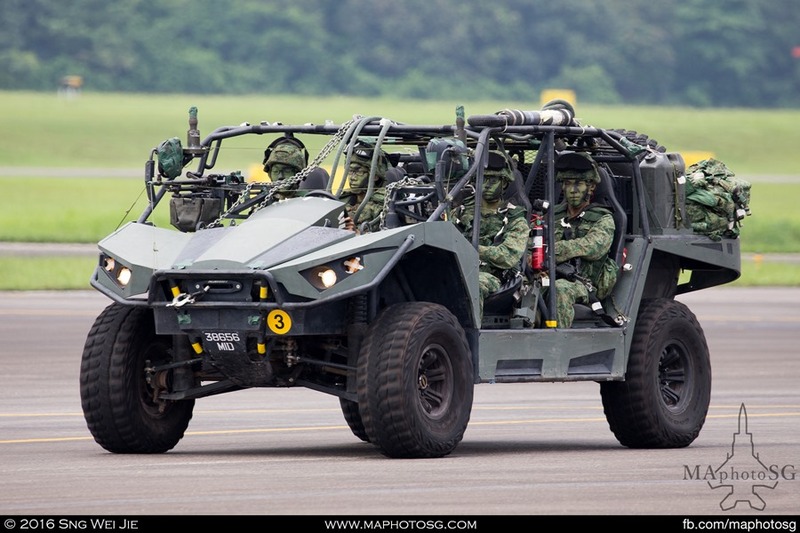 Weapon arming demonstrations, K9 demonstrations by the SAF Military Working Dog Unit, and freefall displays by the SAF Red Lions team also kept visitors enthralled. 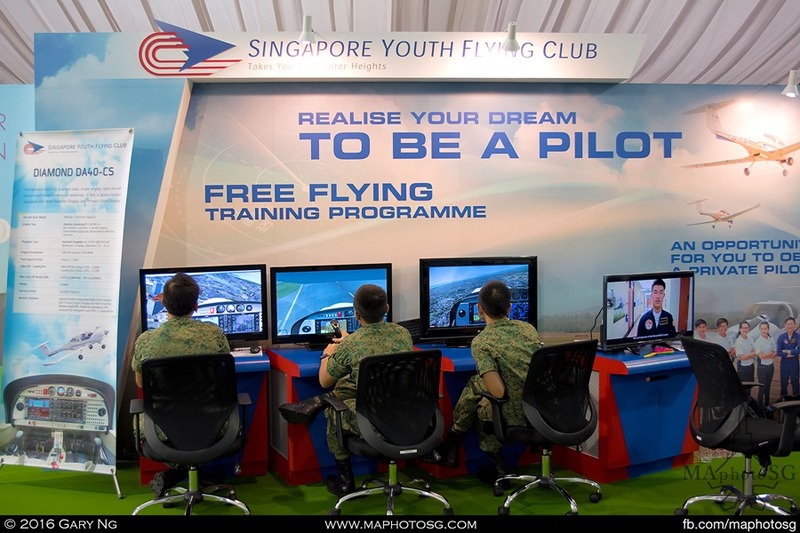 A Carnival Zone was also setup for young children featuring aviation-related games, carnival stalls and a drone flying area. 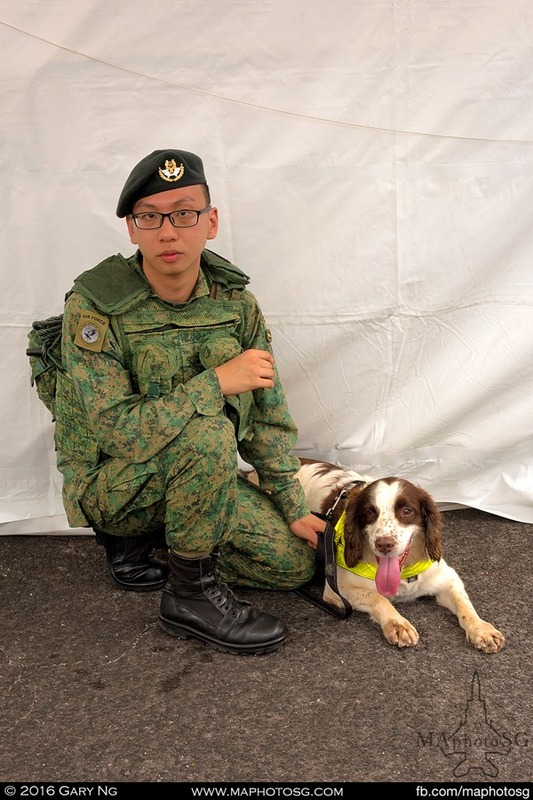 Throughout the day, live performances by the SAF Music and Drama Company, SAF Band and participating schools, and independent bands added to the carnival spirit of the Open House. 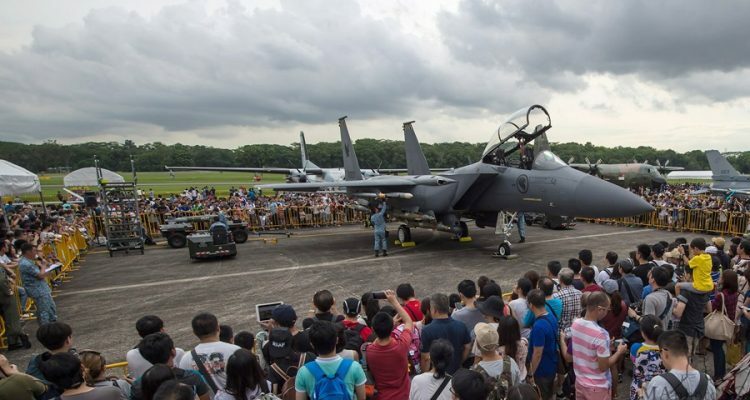 This year’s RSAF Open House was a tremendous success by all accounts, and this was highlighted by the social media success of the RSAF’s Facebook, Instagram and Twitter platforms. 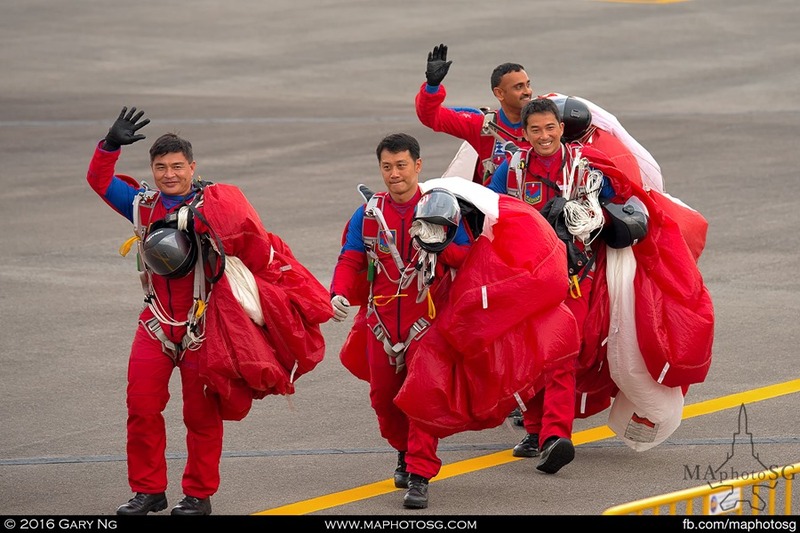 MAphotoSG would like to congratulate BG Neo Hong Keat, Chairman, and the entire ROH16 Organising Committee for the amazing success of this year’s Open House. 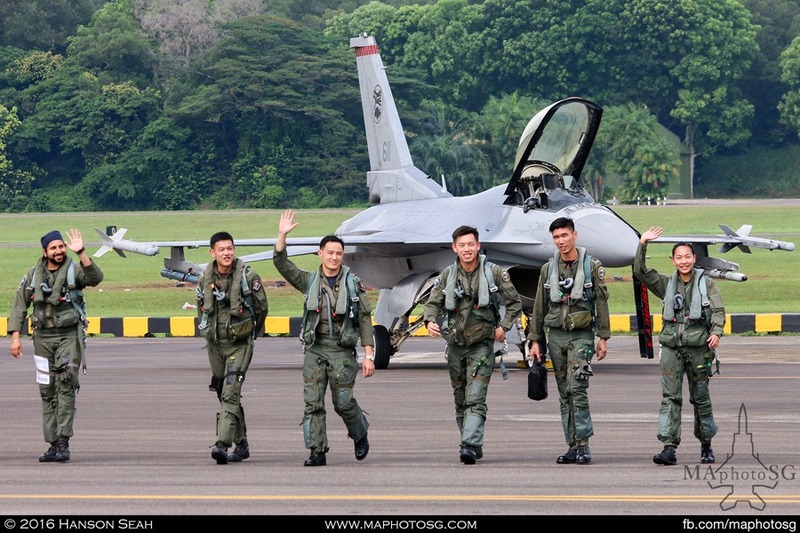 As the Golden Jubilee of the RSAF approaches in 2018, the public eagerly awaits what they hope will be a grand celebration for a young air force. 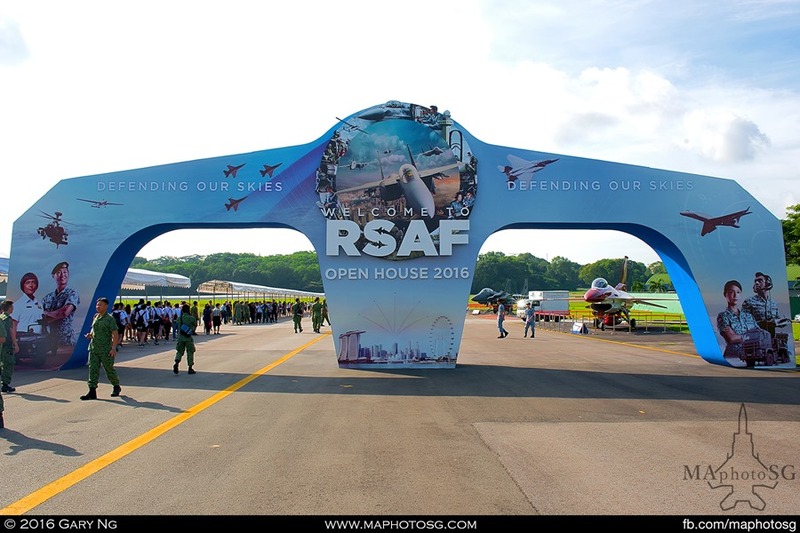 *In preparation for the RSAF Open House articles and photos, the MAPS team has been greatly assisted by LTC Andy Ang and Malcolm Koh. 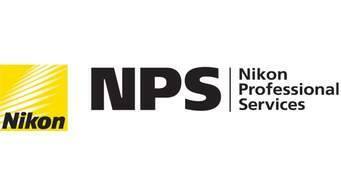 We are deeply grateful and appreciative for their time and effort in accommodating our requests, and we look forward for more opportunities with them in the future. 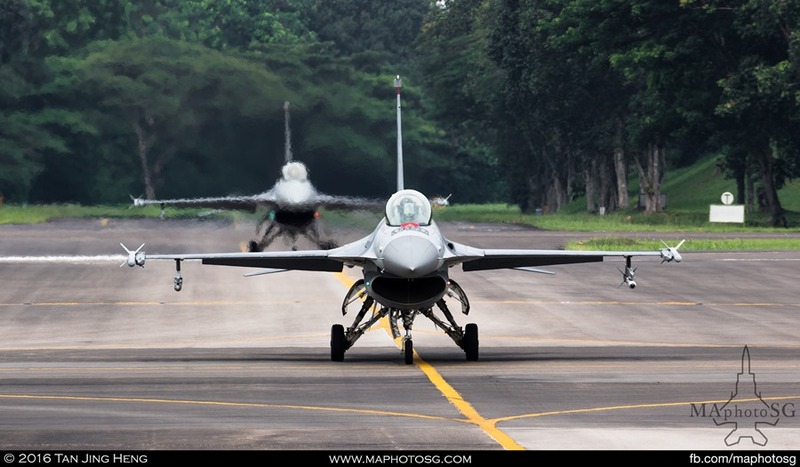 MAphotoSG (Military Aviation Photography Singapore), is proudly represented by a number of dedicated individuals who are passionate about military aviation. 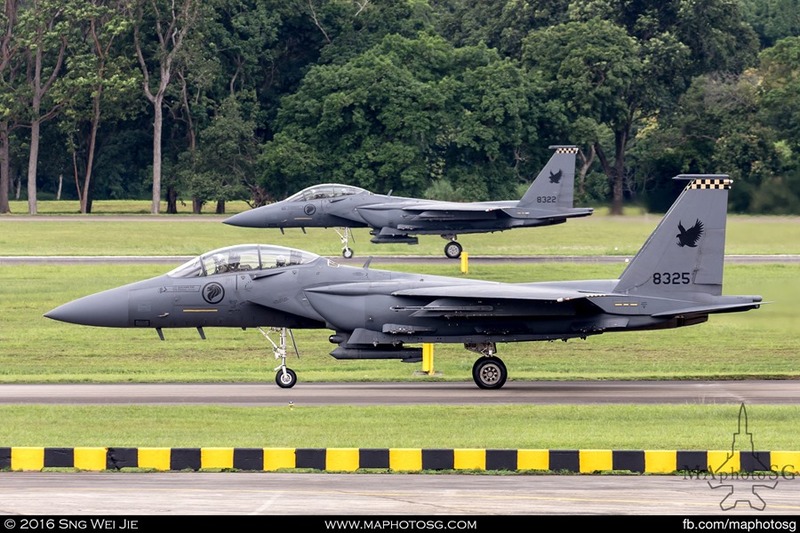 Through our photography, we have captured some of the “first” images of RSAF Exclusive 2016 Airshow Preview, RSAF’s 142 Sqn tail art on F-15SG, and Exercise Commando Sling 16-2. 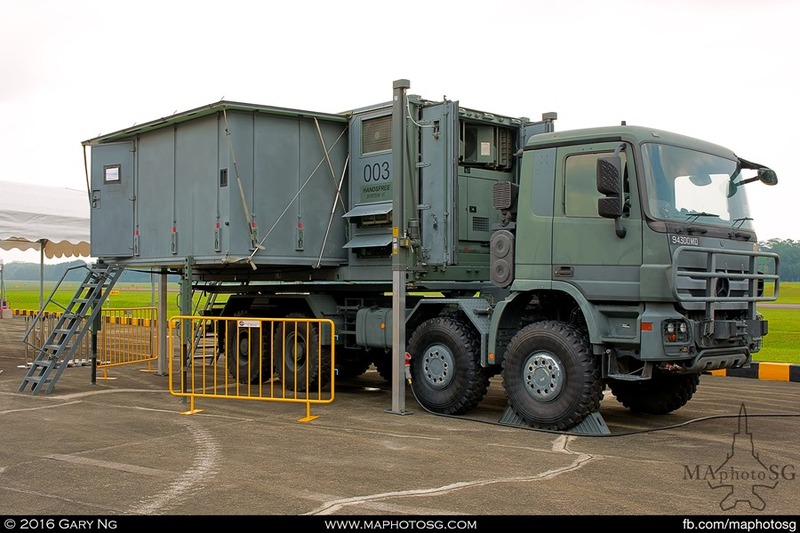 We also bring you selected news from Singapore and International which we feel that will be interesting and important to share. 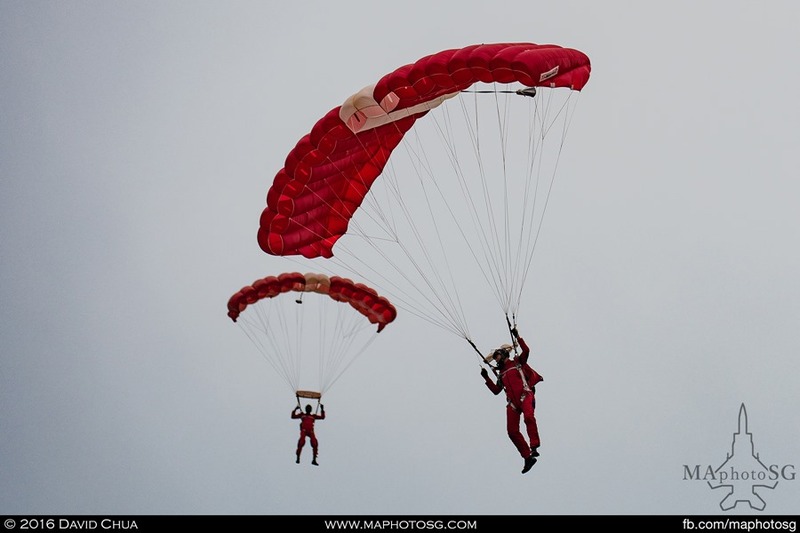 Our Co-founder, David and one of our member, Eric were featured by TODAY Paper (a Singapore newspaper published by MediaCorp) for 2016 Airshow featured article in Feb 2016!